I recognize this flower but can't recall the name...help anyone? Thanks for the help with the flower ID everyone! Superb shot Howard! I love the colors and detail. 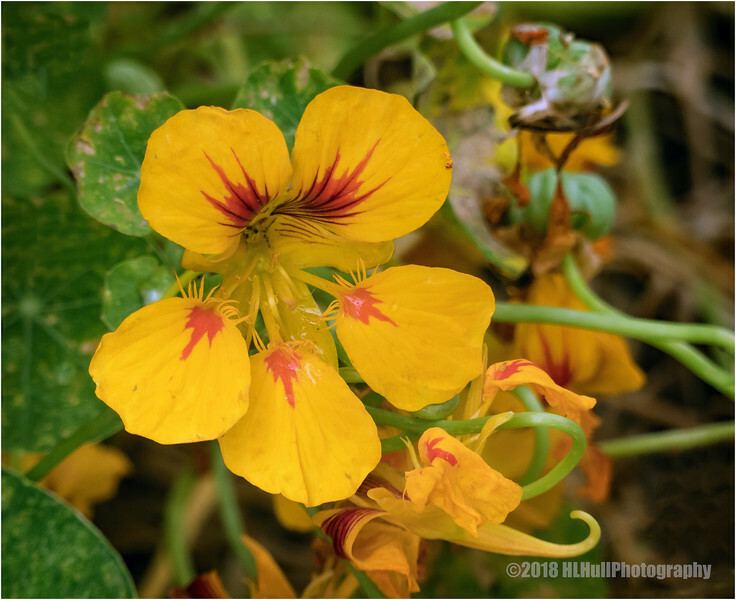 Nice capture of this edible nasturtium flower! Marvelous capture of the nasturtium! Nasturtiums, maybe not the most aromatic, but one of the cheeriest blooms in a garden. Edible, too!